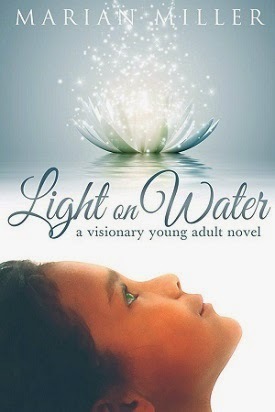 Today we are interviewing Marian Miller, author of the young adult romance novel Light on Water | A Visionary Novel for Young Adults. Marian Miller has a doctorate in psychology, and is a licensed marriage and family therapist. She has more than 25 years experience in the mental health field, many of those years spent working with children and adolescents. Vulnerable children in particular, have always held a special place in her heart. She has found her healing work with young people inspiring – particularly their resilience, courage, and hope for the future, captured in Light on Water. Sequestered since birth, Evie is a black girl whose ability to heal others has been carefully concealed. When her gifts are unintentionally discovered, her life spirals out of control. Young people 14-24, the spiritually minded; those interested in metaphysics, single mothers, multicultural families. What inspired you to write a story that features a girl who can heal people with her touch? To find a way to convey hope and healing, to encourage young people to embrace all aspects themselves and to express and cultivate their talents. Tell us a bit about the protagonist, Evie. Evalyn is compassionate and sensitive—particularly to others in pain. She is creative, imaginative, and mischievous, and friendly. She loves ketchup, ballet, and her mother—not necessarily in that order. Ben—the extremely wealthy, but lonely boy with mental illness, later healed by Evie. As a young adult novel, many of your readers will be adolescents. What issues does your book touch on that adolescents can relate to? School, teachers, food, clothes, laughter and jokes, sports, video games, music. Tumultuous and chaotic emotions, teen romantic relationships filled with jealously, confusion, angst and passion. A combination of James Redfield, Stephanie Myers, Octavia Butler. To be able to write everyday, full time! To inspire others, to sell a successful book series. Book 2 – Wind in Fire. This novel takes the reader on a thrilling, exciting adventure with characters you’ll enjoy getting to know. The story will leave you breathless, yet filled with hope. The moonless night is filled with sinuously moving shadows. The agonized panting of the couple running through the wooded undergrowth reverberates through the stillness. In the distance, the agitated sound of barking hounds. Exhausted, she slows. He knows she is near the limit of her endurance. “Please,” she gasps, struggling for breath. “Go on without me. I’m only slowing you down." Ignoring her pleas, he half drags, half carries her, hoping he has enough strength left for both of them. They can’t stop now—to do so would mean capture and, if not physical death, it would mean death of life as they know it. They are so very close to freedom. He drops the pack from his shoulders, rifles through it for money and passports, which he stuffs into his jacket pockets. He reaches deep into the bottom of the pack searching for the key. The cool metal slips through his fingers into the thick undergrowth. Swearing, he drops to his knees, frantically searching. Unhampered by darkness, she spots it easily, hands it to him. The barking of the hounds is much louder now. The trackers are closer. Despite the darkness, through the periphery of the trees she can see the lake clearly. “We’re almost there,” she murmurs. Soon they hear the low, rhythmic sound of lapping water. In the darkness, the endless black ink of the lake spreads out towards an unseen shore. The barking fades, as do the other night sounds. He steps to the edge of the water, feels it flow over his feet, beckoning, calming, welcoming. He knew this moment would come. Everything he has learned, believed and hoped for is riding on this inevitable moment. She turns toward him, hesitantly, an unspoken question on her lips. Although he can’t see the expression in her eyes, he knows they are filled with fear. She can’t swim. He lifts her into his arms, feels her relax. He presses his lips to her forehead. If his life should end with hers, so be it. After all, the best things in his life began with her. Inhaling deeply, he feels the familiar energy surge through him. Carefully edging forward, he steps up and onto the surface of the water.